SG ReLEAF - Specialty Fertilizers - Potassium Fertilizer by SummitGold Midwest Distributing, Inc.
SG ReLEAF patented potassium fertilizer solution is intended for use as a foliar or soil applied supplement to a good fertility program. SG ReLEAF is formulated with BayPure® bio-degradable chelating agent and organic compounds for improved plant nutrient uptake. SG ReLEAF helps build tolerance against physical and mechanical injury and environmental stresses. SG ReLEAF contains compounds that increase intracellular carbon dioxide and is supplemented with specific nutrients that have been found to enhance productivity of plants. These compounds include methanol metabolites and amino acids. The enhanced productivity appears to result in part from inhibition of stress induced photorespiration and from enhanced fixation of carbon dioxide and plant turgor. It is recommended that SG ReLEAF be applied with primary and secondary nutrients, micronutrients and several carbon sources. These nutrients and compounds are found in the SummitGold fertility programs. SG ReLEAF performs best when included in tank mixes with other amino acids, plant nutrition, simple and complex sugars and other ingredients found in SummitGold products. 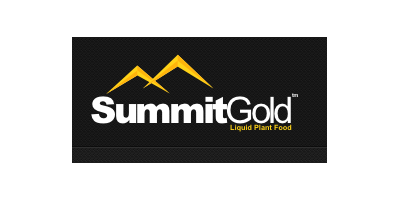 Consult with your local SummitGold Dealer for the program that works best for you. No reviews were found for SG ReLEAF - Potassium Fertilizer. Be the first to review!